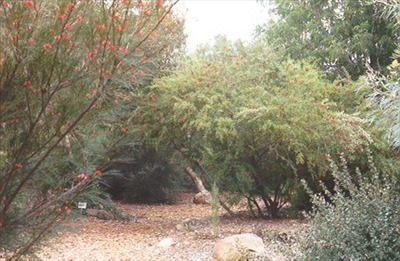 Attractive medium shrub from with rusty red new growth and orange-red flowers most of the year. Prefers well drained light or heavy clay soils in full sun or semi-shade position. Tolerant of extended dry periods and snow and ice. Responds to summer watering. Excellent long lived screen and hummingbird bird attractor. Previously known as G. victoriae var. leptoneura.